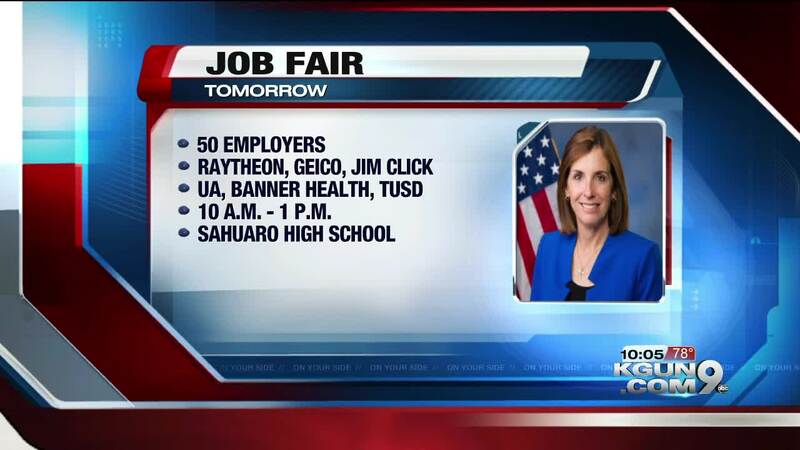 U.S. Rep. Martha McSally will host a job fair Saturday at Saguaro High School. This public event is aimed at connecting job seekers with more than 50 employers across Southern Arizona. The following employers will be in attendance: Raytheon Missile Systems, Honeywell, GEICO, HomeGoods, Jim Click Automotive, Walmart, The University of Arizona, Banner Health, Customs and Border Protection, Union Pacific, Tucson Unified School District, Tucson Airport Authority, and many more. The event runs from 10:00 a.m. to 1:00 p.m.